Deputies suggest parents consult Urban Dictionary to learn more about drug terminology. Public health experts say California and other states should require doctors to check a prescription drug database before giving new patients a prescription for opioids and other controlled substances. The new call to action to reduce prescription drug overdose deaths was issued this week by a nationwide panel of experts, led by researchers at the prestigious Johns Hopkins Bloomberg School of Public Health. California’s version of the drug database, called CURES, contains records of all controlled substances prescribed by health care providers, along with the names of the patients who got those powerful medications. 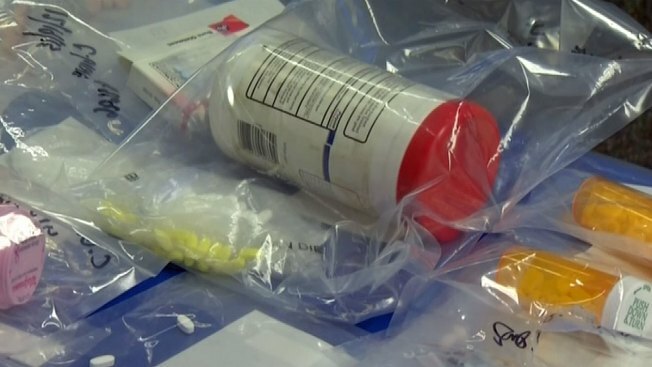 Before doctors write a new prescription for a patient, they can check the database and find out if that patient is “doctor-shopping” to stockpile narcotics, sedatives, stimulants and other potentially dangerous medications. If so, providers can question those patients about possible drug addiction and help them get treatment. Right now in California, health care professionals are not required to use the CURES system, or even register for it. Plus, CURES has been plagued with technical problems, and the many doctors oppose mandates that would force them to use the system. Proponents say CURES can save lives, by making it much harder for addicts to obtain those powerful – and potentially deadly -- controlled substances. “It’s very sad, and I often feel dejected by the fact that (mandatory use of CURES) is taking so long,” said Bob Pack, who proposed the data base a decade ago. In 2006, Pack’s wife and two young children were killed by a hit-and-run driver who was under the influence of prescription narcotics. Since then, Pack has dedicated much of his time and fortune to promoting CURES. ”Year-after-year, the costs in lives and families being torn apart just increases, as everybody sits on their hands, just wasting a lot of time,” he said. More than 1,000 Californians die every year from accidental or purposeful abuse of controlled substances. Click here to read the NBC 7 investigation on CURES. “It’s time for California to embrace the mounting evidence and growing national support for requiring doctors to check a patient’s prescription history before prescribing powerful and addictive medications,” said Carmen Balber of Consumer Watchdog. Balber and other CURES proponents are also pushing for passage of a proposed law (SB 482), that would require doctors to check CURES before prescribing certain controlled substances, including OxyContin and other opioids, for the first time for a patient and annually if they continue prescribing narcotics for that patient. A 2012 state law did required providers and pharmacists to register for the CURES system by January, 2016. But on October 11, Governor Jerry Brown approved a six-month extension on that registration deadline, to July 1, 2016.